Learning to fail can lead to success later! 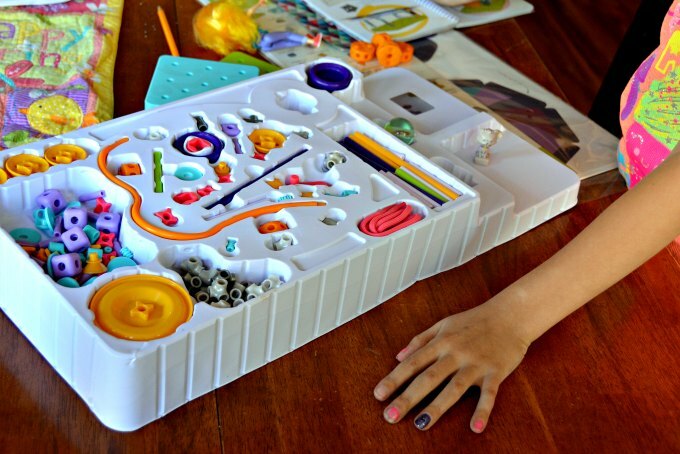 GoldieBlox, a fun new engineering toy for girls, is spreading the message that girls shouldn't be afraid of failure instead they should embrace failure as a motivation for innovation. So what has been one of my biggest failures in life so far? 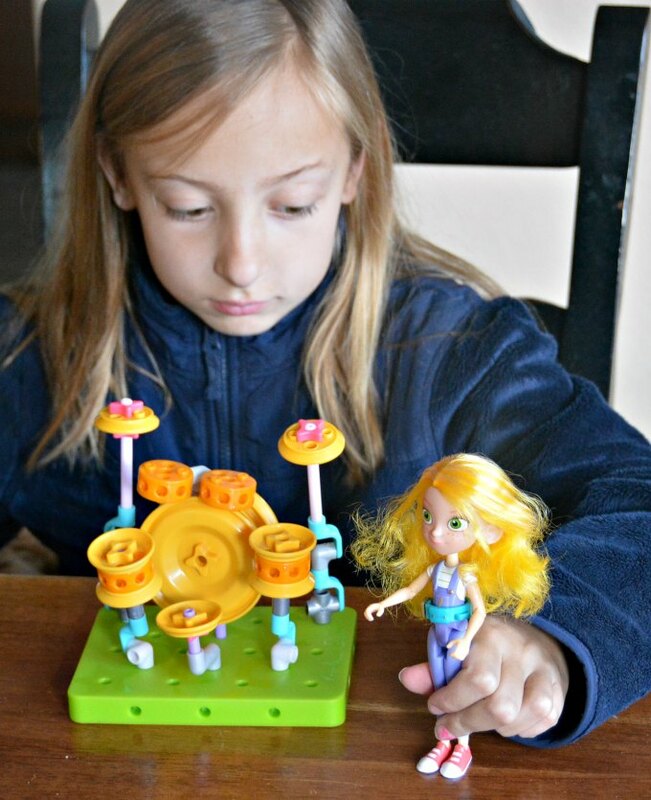 Read on to find out and enter to win a GoldieBlox for your daughter! Before I even had kids I wanted to homeschool them. I was certain that homeschooling was the perfect option for us. I spent an entire year researching curriculum. Then my daughter turned 6 and it was time to start Kindergarten. We (or I) excitedly jumped in with both feet. It was an utter disaster. My daughter is as strong willed and stubborn as they come. It became very evident very quickly that she wanted nothing to do with me teaching her. It got to the point where we would skip doing school for weeks because I couldn't handle the struggle. By the end of the school “year”, my daughter still couldn't read. She barely knew her alphabet. It was a hard pill to swallow, but I had to come to grips with the fact that I had failed at homeschooling her. I realized I had to switch gears and find a solution that worked best for her. So that next fall I enrolled my daughter in public school. I had tried so many different homeschooling options that hadn't worked. It was time to try another solution. It turns out that school was exactly what my daughter needed. She absolutely blossomed. But was very behind academically and needed remedial help in reading. She couldn't read at grade level (well, really at all!) so she struggled to keep up at first. She was frustrated and wanted to give up. I told her that she just needed to keep on trying and working hard and eventually she'd succeed. Gives you goose bumps, doesn't it? We all want our kids to succeed but innovation and success comes after a whole lot of failing. 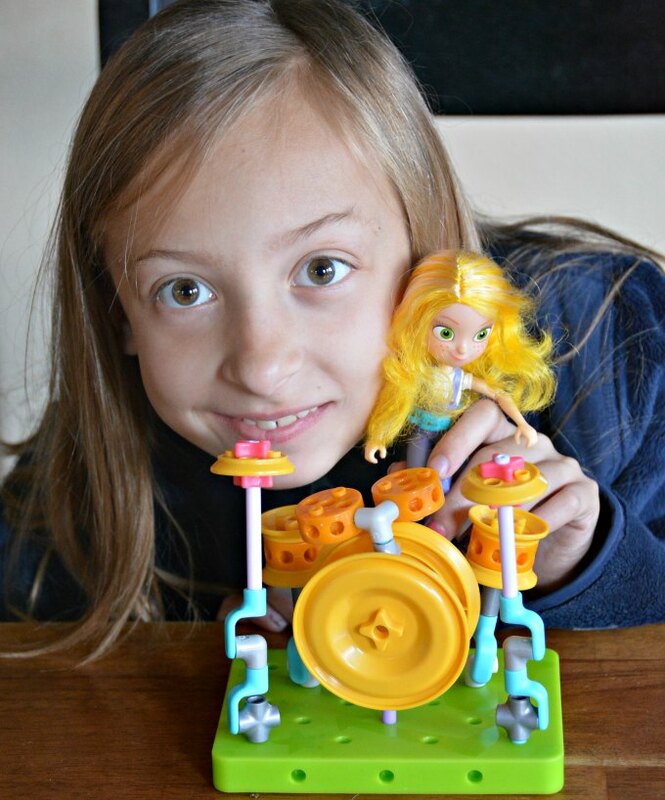 I love this message that GoldieBlox, this amazing engineering toy for girls, is spreading. I'll admit that I wasn't sure if my daughter would even be interested in a building toy, but she loves, loves, loves it! She's been carrying around Goldie's journal for days reading it and drawing in her own inventions. She's creating a machine that can make her crab legs and melted butter – her favorite food. 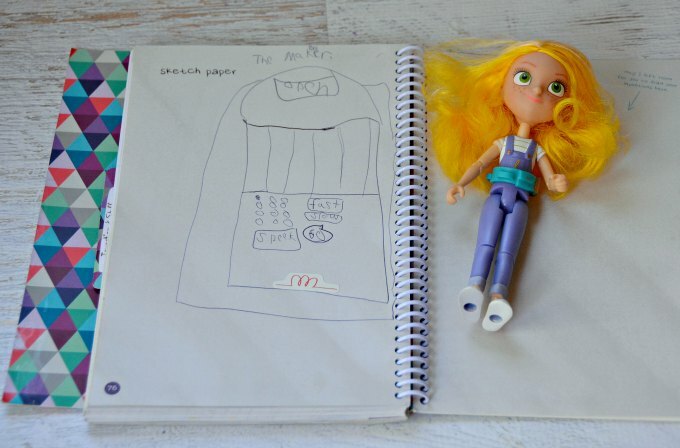 Goldie is a fun mix of building, writing and crafting, which my 8 year old loves. I totally wanted to put together the ice cream truck, but she wanted to do the drum set first. She struggled a little to follow the directions and got frustrated when things weren't going together perfectly. But she kept at it and finally she had a drum set ready for Goldie to play. … a complete Builder's Kit in the widget below! TERMS & CONDITIONS: This giveaway is open to US residents ages 18 and over and ends at 12:00 AM PDT on April 10, 2015. By entering you give the right to use your name and likeness. Number of entries received determines the odds of winning. Approximate retail value is $85.00. One winner will be selected. This is giveaway is sponsored by GoldieBlox. 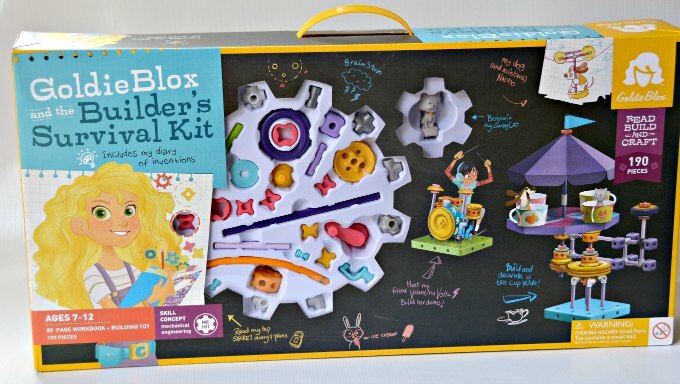 All liabilities and responsibilities with product is directly responsible by GoldieBlox. Winner will drawn by random.org from all verified entries, contacted by email provided, and announced on this page at the end of the contest. Winner has 24 hours to respond or prize will be redrawn. Entrant is responsible for the email address they provide, whether through typing it directly or through the Facebook entry method. 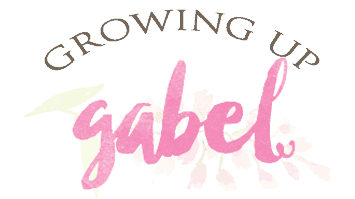 Camille Gabel and GoldieBlox are not responsible for lost or misdirected emails. All prizes will be awarded. No prize substitutions allowed. This promotion is in no way sponsored, endorsed, administered by, or associated with Facebook and we hereby release Facebook of any liability. Information is provided to Camille Gabel and GoldieBlox not to Facebook and your information is never sold or shared. Facebook is not a sponsor of this giveaway. 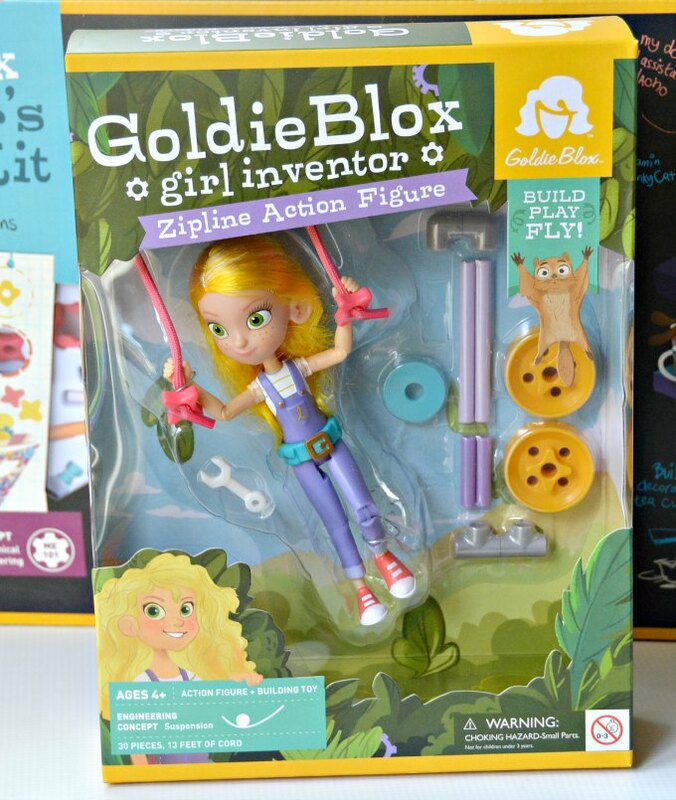 Prize is mailed or emailed directly by GoldieBlox or their associates and may require confirmation of delivery. Protected tweets do not count as an entry method for tweeting. Tweets must come from a public account. No purchase necessary. Void where prohibited by law. I\’m only 20, haven\’t had many oppurtunities to fail yet. My greatest failure is probably not taking advantage of the moment, and a firm intention turns me around sometimes. I have failed (though I prefer to call it “learned”) several times. From a trying out for a play in grade school, to a tough course in college. Every time I fail I gain experience and learn what I’m good at, what I’m not good at, and what I have to work harder at accomplishing. I fail eveyday as a mom but at the end of the day, she alive and thriving. I failed at a recent diet but bounced back with a fun new exercise program I am loving. I was fired from my dream job, and although I still struggle with why and how I failed, it has brought about new avenues that are better suited for my family. I turned down a wonderful speaking engagement out of fear. The next I was asked I said YES, pushed through the fear, and it went great! My daughter sounds about like yours. She hates learning from me, but loves learning from her teachers, thank God! She gets easily frustrated with trying new things. But she now loves Lego Friends and GoldieBlox and all sorts of things that she has to figure out for herself. So our bouncing back story is about learning how to bounce back! 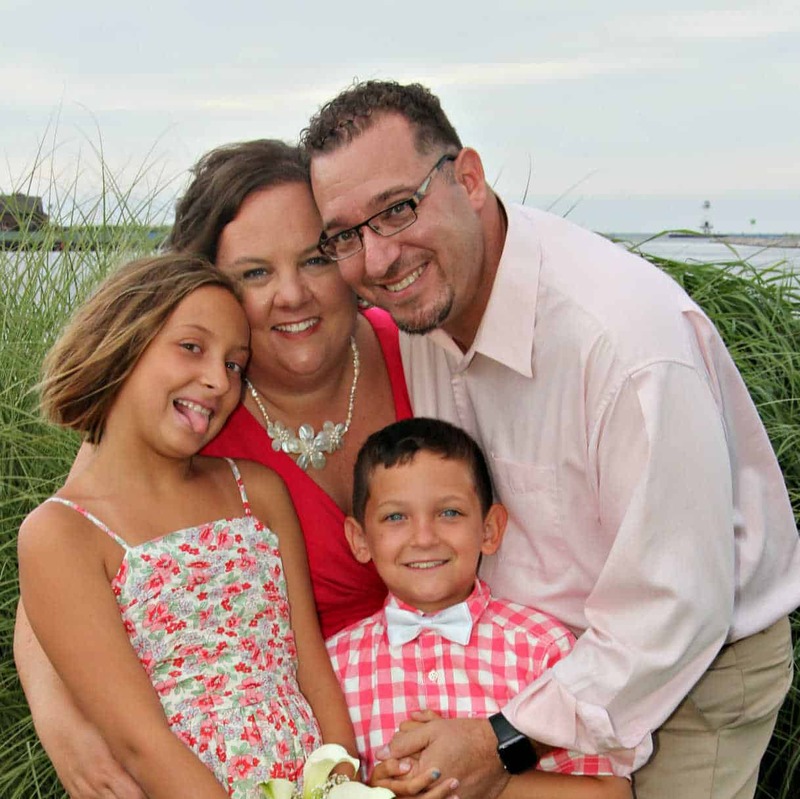 So happy to hear your story and know that you and your daughter love GoldieBox! I discovered them through their Kickstarter project. My girls are in their twenties but these would have been great, so I love to see the brand grow and become more and more popular. Also, kudos for you for trying with home-schooling, but realizing that not all plans work out, and you have to do what is best for both of you. I home-schooled one daughter for 6th grade; it worked out well, but I knew that the personalities of my other two would *never* have made it work for them. Each has her own needs and styles. Okay, so thirdly, thanks for the reminder about failure. One of my daughters is super brilliant but lacks self-confidence. I am sending her this video – I think it applies for all ages, really. 😉 Cheers! Failed? Our failures are how we succeed! You know that from your homeschooling adventure. I’ve had so many opportunities to succeed in my 59 years, I cannot count them all! I would love to win the Goldie Blox for my granddaughter, she would love it and has a great many successes in front of her! Thank you for a great story and this contest opportunity. I was playing in a tennis match during my Freshman year in high school. My coach kept yelling at me, and belittling me for every one of my mistakes. I became so upset that I hyperventilated and I could not get my breath. My coach yelled, “Why didn’t you tell me you had Asthma!?”. I gasped, “I don’t”. Luckily another teacher in attendance realized I was only hyperventilating, and he handed me a small paper bag to breath into. He gave me some words of encouragement, and he helped to calm me down,. I did not win that match, but, I never again allowed myself to become so upset by my coach’s or any other person’s words of discouragement. I kept my focus on the match, and I ignored the negativity. I was voted MVP of the Tennis Team during my Junior year in high school. What an encouraging story, Karen! Thank you for sharing and congrats the the MVP (many years later!). it tough to home school ..So I decided to take her to preschool…before preschool she will not speak a word …slow but surely she start to talk …I still teach her a couple of thing .. It IS tough to homeschool! I’m so amazed by the mamas who do it. But I think it’s Ok to give yourself a little grace and get some help with school, too. I’m so glad preschool worked for your daughter. I honestly think some kids just need a little space from home sometimes. We also homeschooled until my oldest kids were in 5th and 3rd grades, when my ex-husband and I started going through a divorce. I tried for about a year, but I finally had to give in to the fact that I couldn’t do it on my own and work full-time and give them any sort of quality education. 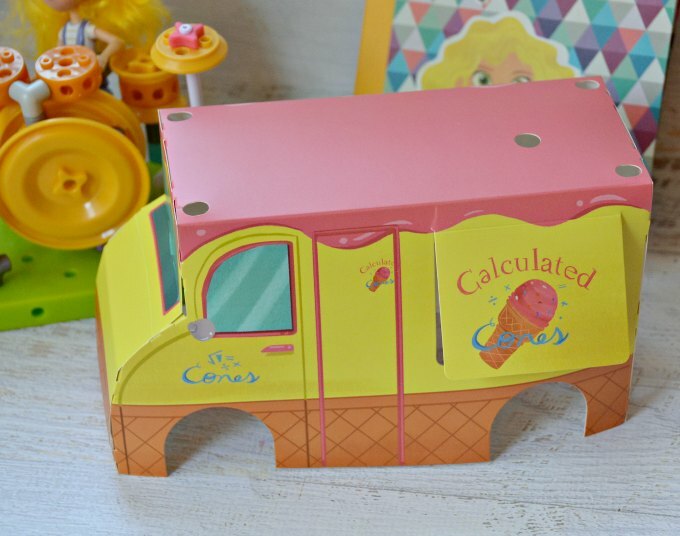 This looks like an awesome toy and I’m thrilled to see toys like this for girls! I think my niece would love it.